A spectacular scene in a Sonja Henie movie sparked my love of theatrical skating, and I began to collect pictures and magazine articles about ice shows. 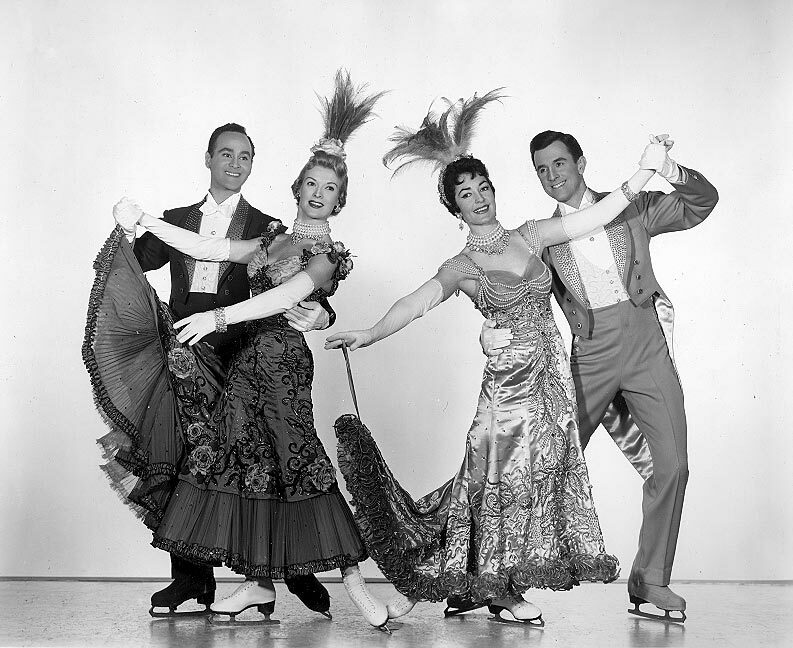 While learning to skate I dreamed of someday getting into a show, and I loved being part of the great 1950s and 60s ice show era when those prayers were finally answered. First, at the Casa Carioca for a year and a half in Garmisch, Germany; then five years in the Boulevard Room show at the Chicago Conrad Hilton Hotel; and eventually touring with Holiday On Ice for six fantastic years in Europe, Russia, South America, and Asia, where I developed a life-long love of Thailand and Japan. At the end of my last show tour in 1967 I planned to head to California to begin a new career as a photographer. The cast was flown from Rio de Janeiro to New York City where I expecteded to visit friends for three days…. and stayed twenty-five years. For the first two of those I skated in a small exhibition four times a day at the Rockefeller Plaza ice rink. That financed the Manhattan studio for my “second life” photographing actors, dancers, musicians, and other entertainers – from great international stars to fresh-faced hopefuls. All the while I continued to gather memorabilia fro m the spectacular touring ice shows and those being created by ice champions who were becoming great skating artists and forming their own companies, and I documented the surge in popularity of skating on television. Like me, my family members had all wandered away from Oklahoma, most of them to Minnesota. One niece, Keri Pickett, became a terrific photographer in Minneapolis and in 1993 I moved from New York to share a studio with her there. 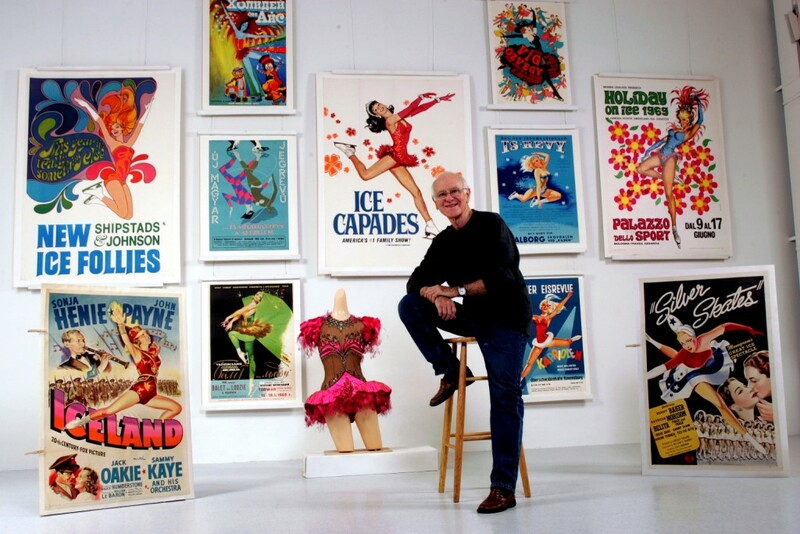 At age 78 I’m now retired and have time to document my IceStage Archive collection into the computer while looking for the eventual home where this great history of international theatrical skating can be accessible to researchers and the public.